Our Apricot Couscous side dish makes a sweet and tangy compliment to a main dish with strong flavors. The fruity elements pull this entire dish together, plus it's done in just 20 minutes. This couscous goes with the Moroccan Chicken Soup but can make a nice side dish for chicken, fish, or lamb. Bring water, honey, oil, lemon juice, zest, and salt to a boil in a saucepan. Off heat, stir in couscous and apricots; cover and let stand until water is absorbed, about 5 minutes. 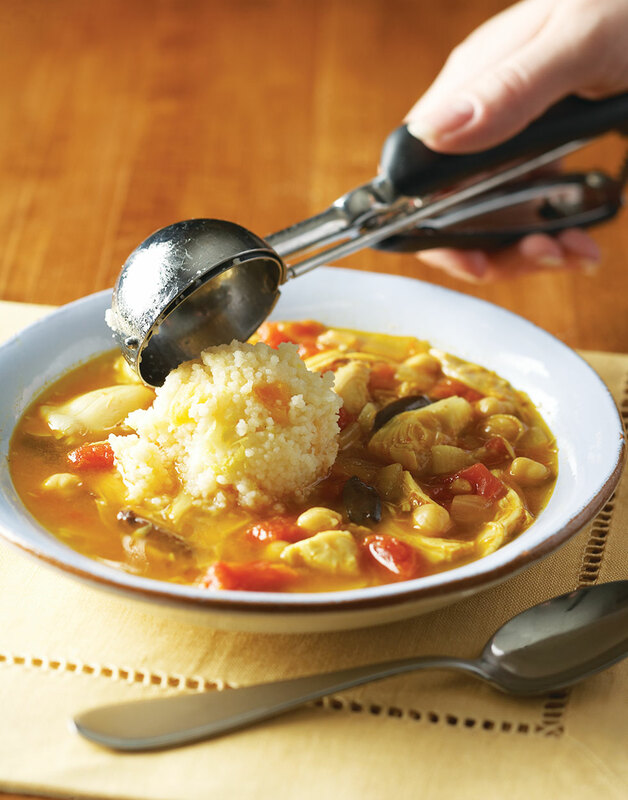 Fluff couscous with a fork before serving.